This new series is the product, in collaboration with Fulgur, of Black Mirror, a new research network based at the Arts University Bournemouth, which explores the influence and role of enchantment, the occult, magic and esotericism in modernist and contemporary arts in an international context. Its contributions are peer-reviewed by an editorial board comprised of Judith Noble and Dominic Shepherd of Arts University Bournemouth, Daniel Zamani of Trinity College, Cambridge, Amy Hale of Golden Gate University, Robert Ansell of Fulgur Esoterica, Gavin Parkinson of the Courtauld Institute, Jesse Bransford of the State University of New York and Ulli Seegers of Heinrich Heine University of Dusseldorf. In their introduction, Judith Noble, Dominic Shepherd and Robert Ansell set out the intent of this new venture, touching in particular on the intersection of Surrealism and the occult and using this as a methodological blueprint for the now. 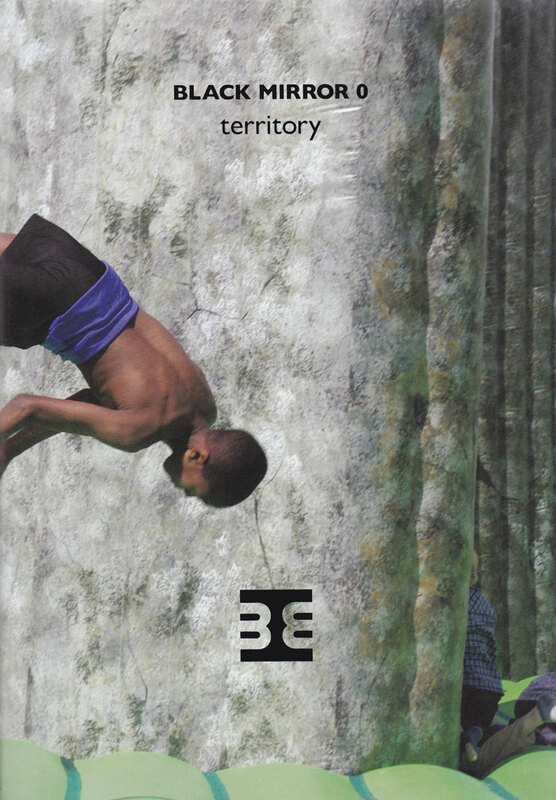 As its subtitle suggests, this first volume of Black Mirror is concerned, fittingly, with the mapping of contested territories in art and occultism, places occupied not just by artists and occultists, but by academics too. Jesse Bransford’s Lifting the Veil: Esoteric Interpretations of Seven Contemporary Artists does as the title says and gives two pages, one for text, the other for an image, to seven contemporary artists: Alex Jovanovich, Karsten Krejcarek, Rebecca Forgac, Afruz Amighi, Juliet Jacobson, Matt Greene, and the duo of Ryan Pfeiffer and Rebecca Walz. Like many of the artists featured in Black Mirror, these seven do not always have explicit or obvious connections with esoterica, no sigils, steles or Spare-style phantasms here, but Bransford does an expert job of teasing out the various metaphysical themes encoded in their work. 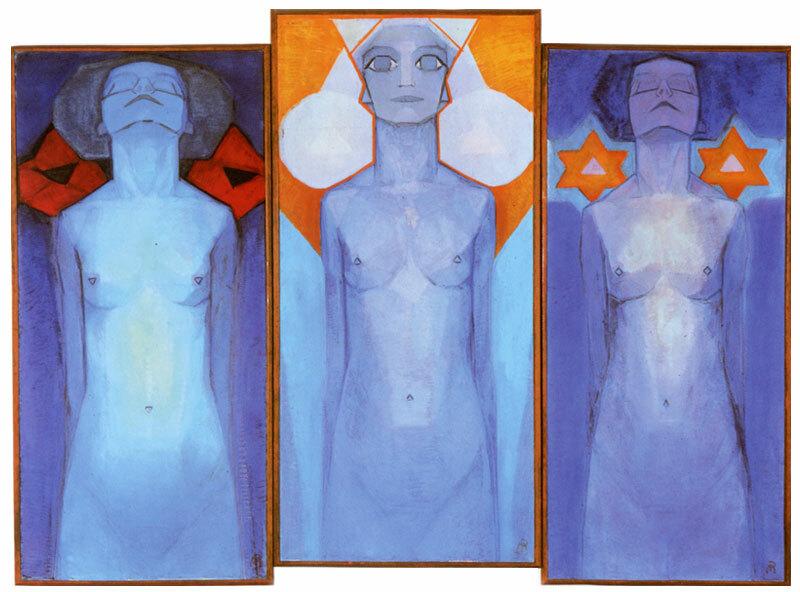 From Mondrian to Charmion von Wiegand: Neoplasticism, Theosophy and Buddhism by Massimo Introvigne is a more traditional artist study, dealing first with Mondrian whose esoteric affiliations should be familiar to most occultists, before turning to his friend and fellow Theosophist, Charmion von Viegand. This is an enjoyable but all too brief account of both artists, with the colour images, particularly those by Mondrian, highlighting the profoundly magickal effect that apparently simply blocks of colour can have. Quite possibly the highlight of this edition is The Fool and the Mirror: Concerning the Relations between Art, Magic and the Academy, in which Julian Vayne addresses the idiosyncratic numbering of this first volume by considering the Fool, designated 0 in the tarot. In many ways, this is a sequel to Judith Noble, Dominic Shepherd and Robert Ansell’s earlier introduction to Black Mirror as it reiterates the philosophy of the publication and the metaphysics that underlie its symbolism. Vayne uses the symbolism of the Fool to broadly approach a number of issues, the most interesting of which is the peculiar place that practicing occultists might find themselves in a world where occultism has become an acceptable and increasingly popular subject for academia. Vayne naturally sees Black Mirror as part of this dialogue between magick and the academy and hopes that it can be a place where occultism and the art it produces can be rigorously and respectfully analysed by practitioners and non-practitioners alike. Elsewhere, in The Secret Life of Objects, Marie von Heyl is interviewed by Daniel Zamani, accompanied by several full page plates of the repurposed found objects from her Occasional Table Series. Surrealism is a touchstone in this interview and also come in to focus in Gavin Parkinson’s Surrealism’s Popular Occultism: From H. P. Lovecraft to H. Rider Haggard. Here, Parkinson’s lengthy consideration is more concerned with matters literary than visual arts, looking at Lovecraft and other pulp writers and how their personal mythology of cosmic devolution appealed to the Surrealists. With its 124 octavo-sized pages, the content in Black Mirror is by no means exhaustive. Essays run to ten pages on average, including full page illustrations and references. As with many of the works that come via Fulgur, there is a certain dryness to the content here, with a drive for respectability that means some of the classless less sophisticated glamour of occultism doesn’t get a look in. Black Mirror is presented in a cloth-bound octavo format of 124 pages, with a dust jacket featuring a wraparound image of Jeremy Deller’s installation project Sacrilege. The internal stock is a weighty matte, and the end papers are a high-gloss black that create the black mirror of the title. The standard edition runs to 600 copies, with a special AV issue of 300 coming with a DVD of Marie von Heyl’s work, WYSIWYG.